It seems that it’s not just big business that recognize the possibility that blockchain is the future, as more and more universities are developing courses around the subject. Most recently the University of Arkansas announced its intentions to develop an entire department centered around this technology Blockchain Center of Excellence focusing on this subject, with potential for students to receive either a Graduate’s certificate or a recognized interdisciplinary minor course. This is a major step given that thus far universities have mainly only offered courses, rather than qualifications on these subjects. There are of course a few universities that have been offering recognized degrees. For instance, an honorable mention should be given to the University of Nicosia in Cyprus as it actually offers a Masters of Science Degree in Digital Currencies. Unsurprisingly, this is an online course that is open to the international community. It is unsurprising, as while one might think that these new innovations are simply symptomatic of the growing blockchain and cryptocurrency interest sparked by the wider public awareness of the technology produced by the bitcoin price spikes in December 2017, there were actually pioneering universities who recognized its potential even as far back as 2013. 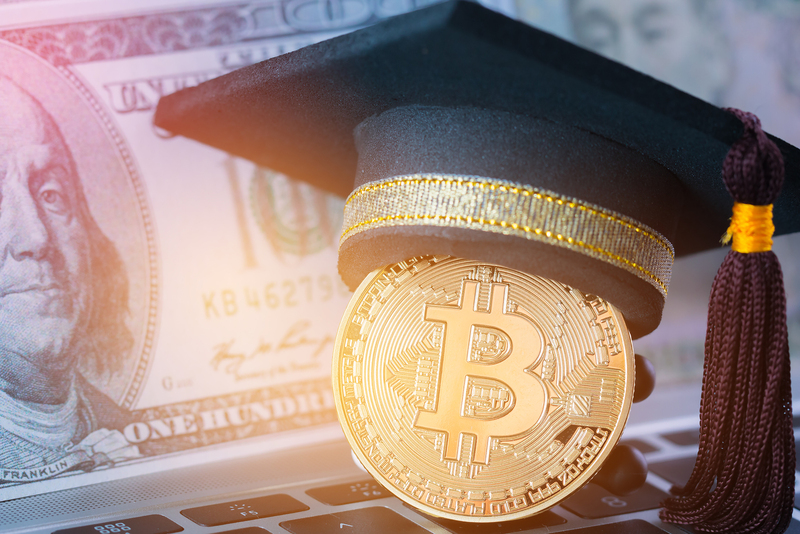 These universities included the Cornwell University, as well as the University of Hong Kong both of which continue to offer free online courses in blockchain and cryptocurrencies on edX. However, there are those in universities, and indeed even on the technology Blockchain Center of Excellence staff, Mary Lacity, who view blockchain as a technology that is still in its infancy. This means that while they see the blockchain and even cryptocurrencies as having potential, these technologies still have a long way to go until it is truly useful and scalable enough for wider adoption by public institutions and companies. Nevertheless, the continued implementation of courses and degrees will help to train more experts to help bolster the development and growth of the industry, and thereby help it to grow at a greater rate than before. In order for these institutions to invest and redirect a great deal of funds into developing these courses could only mean that they truly do believe that blockchain is the future.